Healthy & Delicious Baby Food Delivered You'll Both Eat | Fort Worth Star-Telegram Now, three years later, I'm here again, with a toddler and a wish to feed her healthy food BUT with even less time than I had with one child. 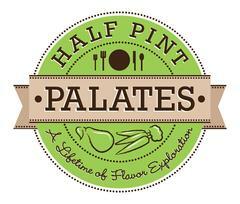 Thankfully, this time I actually have an option: Half Pint Palates. Created by mom/chef/owner/amazingly cool gal Tara Anderson, HPP creates and delivers clean, non-processed, globally insprired baby and toddler foods to doorsteps across the metroplex (within a 30-mile radius of her Deep Ellum kitchen.) Packaged in either a three-day or five-day plan, a single day's menu includes: breakfast, an entrée style lunch, light dinner, two dry snacks, a fruit puree and a juice all for only $17.50 per day. Basically everything you need for your kid's menu but milk. And remember, this is for your KID! I was elated to share a week's worth of Half Pint Palates with my daughter in efforts to try to change her finicky habits until I took out the container from the freezer and took a bite to try it myself. It was so good, I didn't want her to have it. I mean I wanted to trade my dinner for hers. (Yes, I was chowing down on baby food that was full of flavor and took all of 1:00 to cook.) However, I made the sacrifice and ler her half it with me. 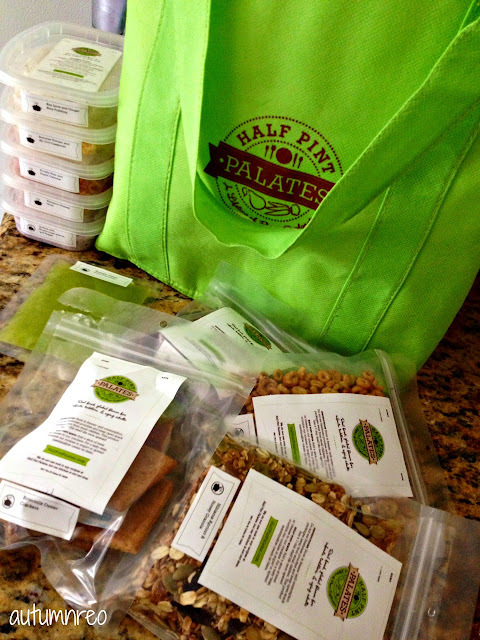 * Clients of HPP go to www.halfpintpalates.com to order their food style preference (purees or 'stews'), their desired amount of weekly meals and can choose from a selection of HPP snacks and juices as well as some adult treats. * HPP shops for seasonal ingredients, prepares them by hand, administers a taste test and freezes the fresh meals all within a week of the client's delivery date. 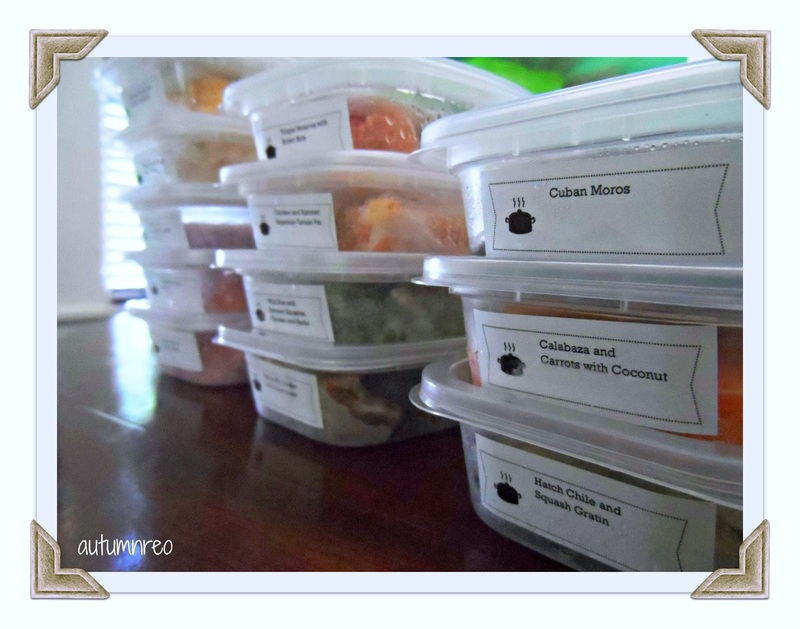 * All your food is packaged up and delivered to your home in a refrigerated bag in handy plastic containers that are easily placed in the freezer and pantry for quick cooking throughout the week. 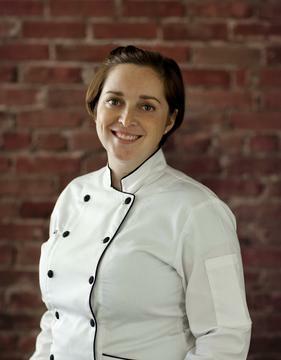 Like many momprenuers, Half Pint Palates was developed out of Tara's own want to provide her daughter healthy food options and merging her own professional experience as am executive chef with Pepsi. And considering her husband also works with Wolfgang Puck Catering, preparing great food from local sources is a priority for this Lakewood family. Lucky for you, Tara also hosts monthly cooking classes and this month a special FREE Cooking Demonstration hosted by Dallas Moms Blog THIS Tuesday, July 23 at 11 AM at Central Market! However, you must register for this incredible event and reservations are limited. My advice: sign up for Half Pint Palates and order two plans - one for your kiddo AND one for you.